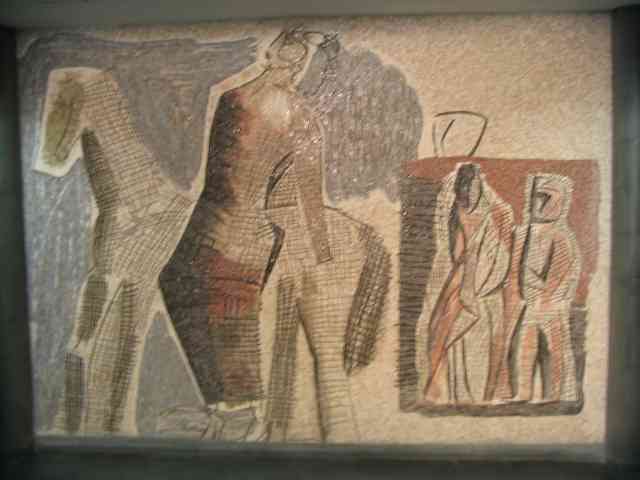 Arsenale, Mostra (2, 7, 8), Politecnico - Augusto, Lala, Mergellina (2), Arco Mirelli, San Pasquale, Chiaia - Monte di Dio, (Plebiscito station deleted), Municipio (1). 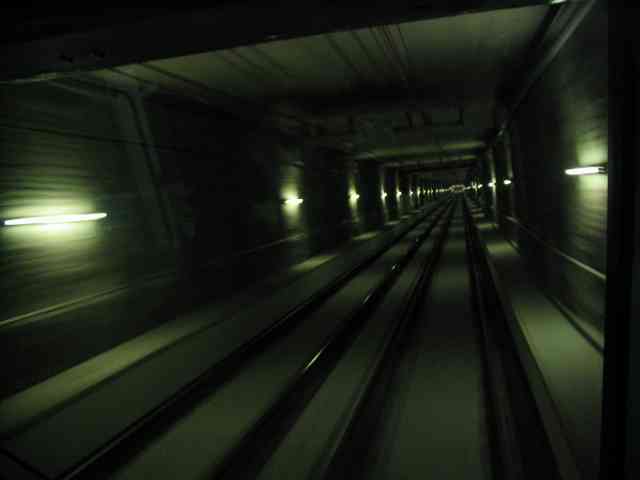 it is under development; its length is 3.077 kms; tunnel Plebiscito-Chiaia partly made. 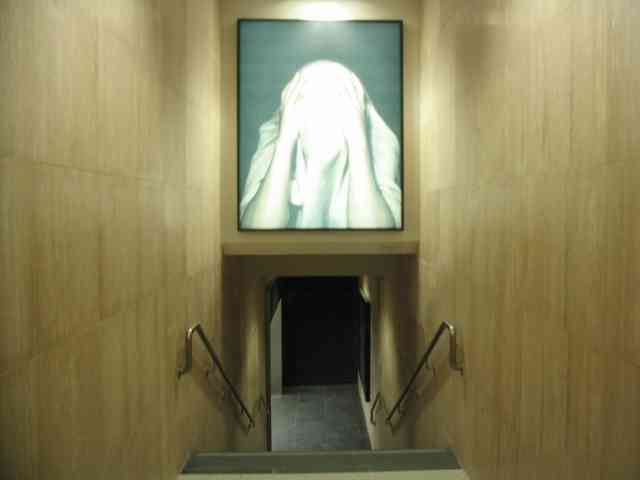 An extension towards west has been planned from Mostra - Campi Flegrei. This involves construction of a new station: Arsenale. This extension might further go west until Coroglio and Bagnoli. Currently there are no news about actual realization of this extension, apart from this piece of news - in Italian - from Il Mattino. Global passenger flow in morning peak time is about 17,000; by hypothesizing 18 hours of service, from 5.00 until 23.00, daily transported passengers will be about 154,000, yielding an yearly figure of about 46 million passengers. Train capacity: 570 passengers. Commercial speed: 30 Km/h. For more details click the Passenger Forecast page (in Italian) on the official linea6.com site. 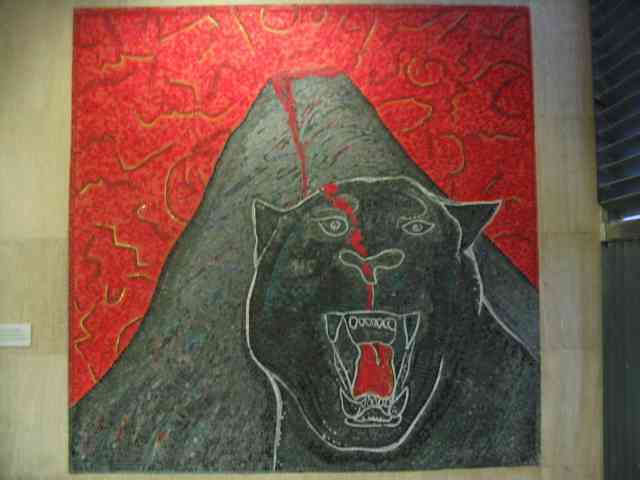 March 1, 2001: Comune di Napoli investment plan approved. 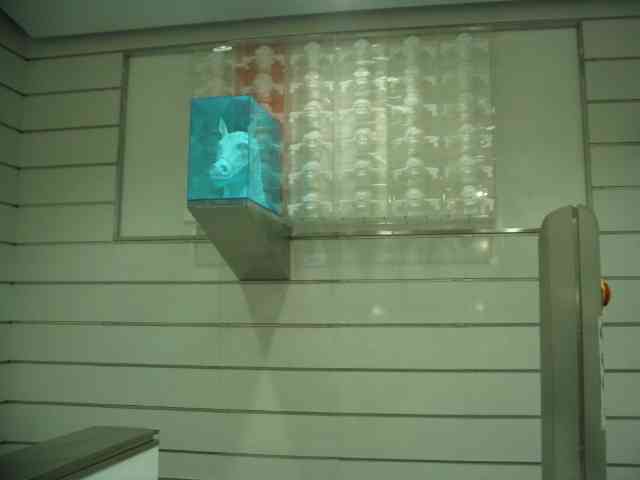 Linea 6 funding approved: in 2001 335 billion Lire for Mostra-San Pasquale section, in 2002 246 billion Lire for San Pasquale-Municipio section, in 2003 164 billion Lire. See press news from Il Mattino (in Italian). 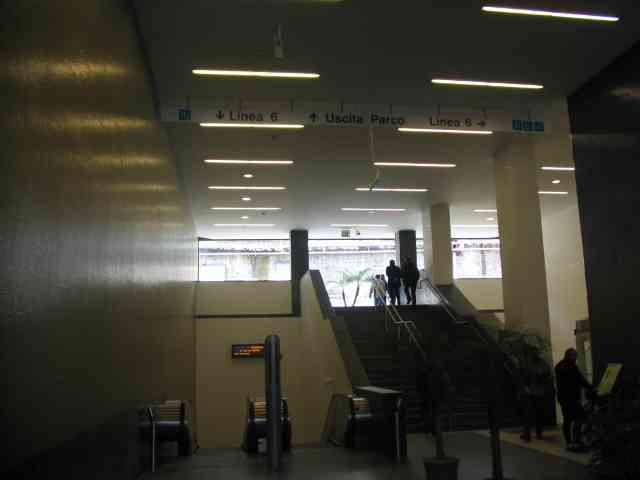 January 17, 2002: Linea6 working area opens at Piazza della Repubblica (Arco Mirelli station) (see press release - in Italian - from Il Mattino). February 7, 2002: a citizen committee raises doubts on Linea6 design (see press releases 1, 2, 3 and 4 - in Italian - from La Repubblica). February 15, 2002: Cipe Government Committee funds 219 billion Liras for Linea6 (see press release - in Italian - from Il Mattino). 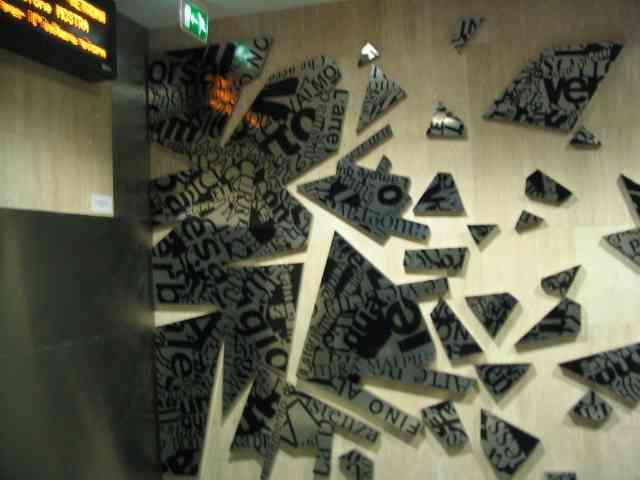 February 16, 2002: Linea6 designers state its safety (see press release - in Italian - from La Repubblica). February 16, 2002: Linea6: sindacates and committee argue about its utility (see press release - in Italian - from La Repubblica). April 20, 2002: Il Mattino reports on state of works for Linea6 (see press release - in Italian). November 4, 2002: interview with Roberti, representative of Ansaldo Trasporti, about scheduled opening dates for several sections of Linea 6 (see news - in Italian - from Il Mattino). 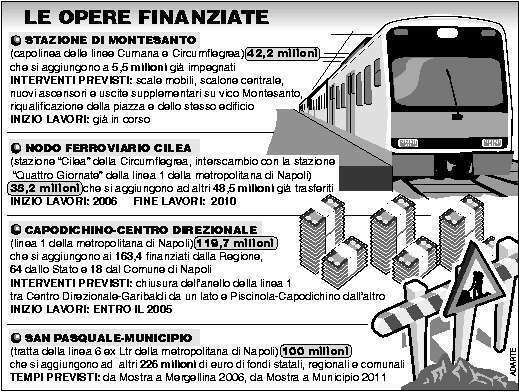 December 12, 2002: a 400 million euro funding announced for Linea 6: related works will start from station Municipio (see news - in Italian - from Il Mattino). December 18, 2002: two agreement documents signed to speed up Linea 6 works, and to open section Politecnico - Mergellina by end 2004 (see news - in Italian - from Il Mattino). June 5, 2003: today Linea6 works start again (see news - in Italian - from Il Mattino). 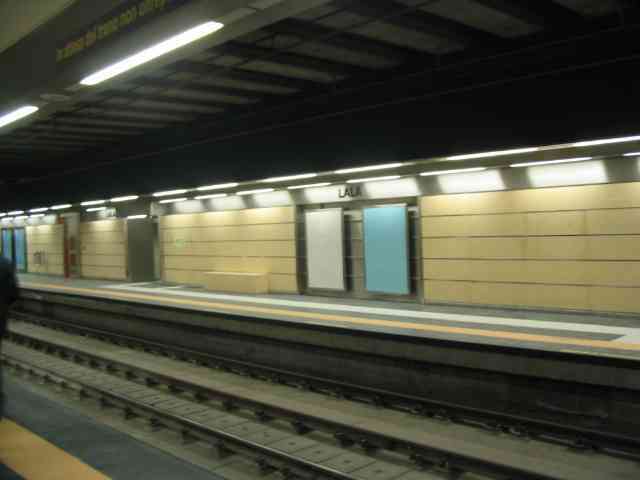 December 4, 2003: vice-mayor Rocco Papa proposes a further station in Via Chiaia for Linea6 between stations Martiri and Plebiscito (see news - in Italian - from Il Mattino). 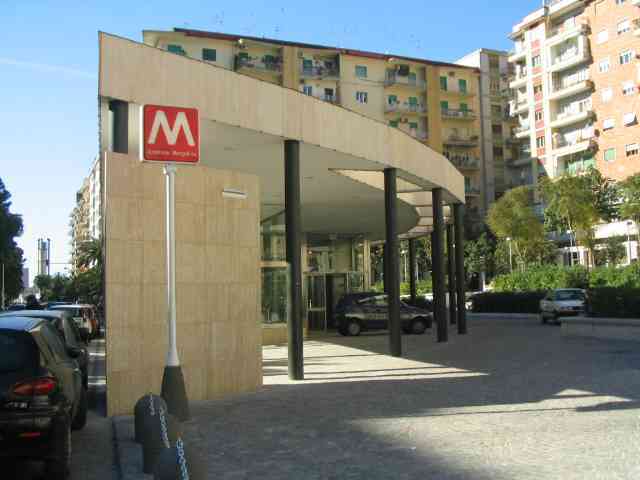 April 18, 2004: Linea 6 project slightly modified: station Martiri replaced by new station Chiaia - Monte di Dio, with three exits: via Chiaia, piazza Santa Maria degli Angeli and piazza Santa Caterina. By end April CIPE is expected to confirm 220 million euro funding (see news - in Italian - from Il Mattino). October 21, 2004: CIPE (Interministerial Committee for Economic Programming) has approved funding for completion of Linea 6. 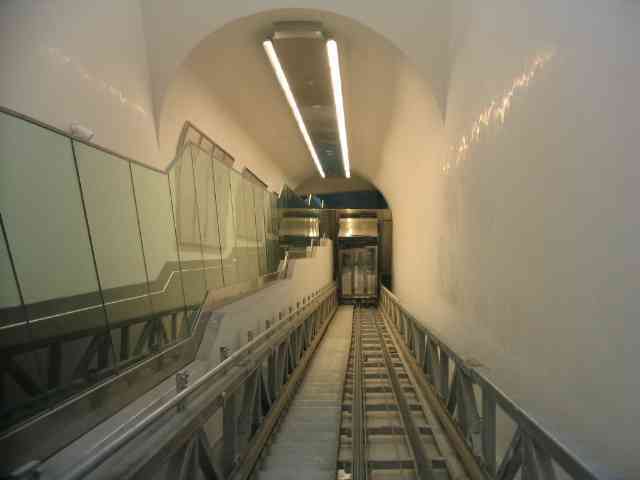 First section will enter service in 2009, and line will be completed in 2011 (see news - in Italian - from Il Mattino). 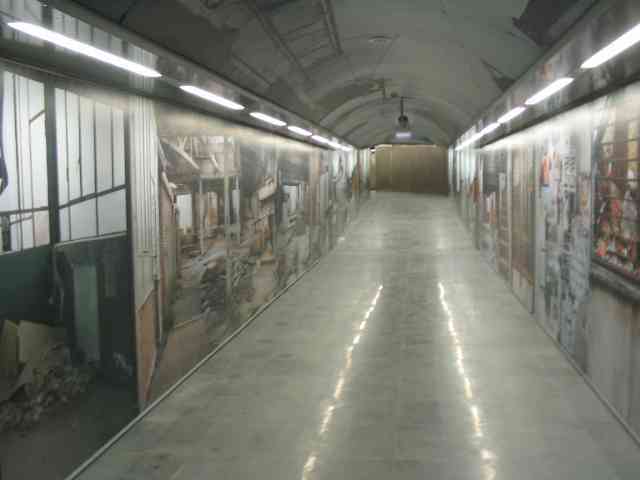 December 30, 2004: good chances to open Mostra - Mergellina section of Linea 6 by end 2005 - early 2006. April 20, 2005: Linea6 trains have been taken out of Fuorigrotta subsoil. They will be painted again before entering service in spring 2006 (see news - in Italian - from Il Mattino). 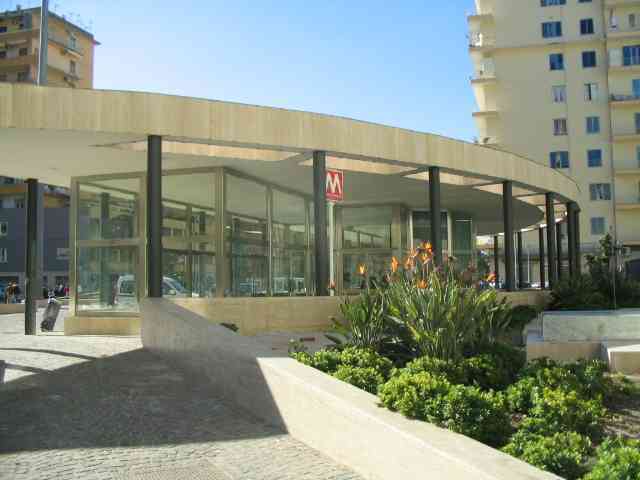 July 13, 2005: Linea6 work schedule announced: section Mostra - Mergellina will be completed by mid-2006 (cost: 226 million euros), in 2009 Municipio station will be reached, by 2011 intermediate stations will be completed (total cost 674 million euros) (see news #1 and news #2 - in Italian - - from Il Mattino). 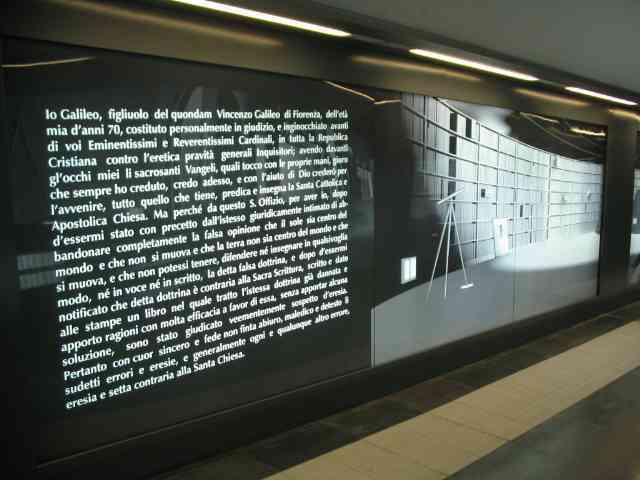 August 1, 2005: Linea6 tunnel from Piazzale Tecchio (station Mostra) to Piazza Sannazaro (station Mergellina) has been completed. On this issue and, more in general, on the line read the reportage - in Italian - from Il Mattino). 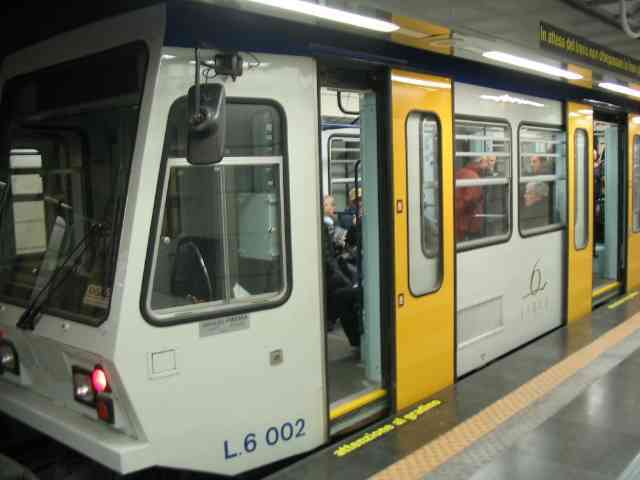 October 19, 2005: rumours say that Linea6 might start service in June 2006 (see news - in Italian - from Il Mattino). 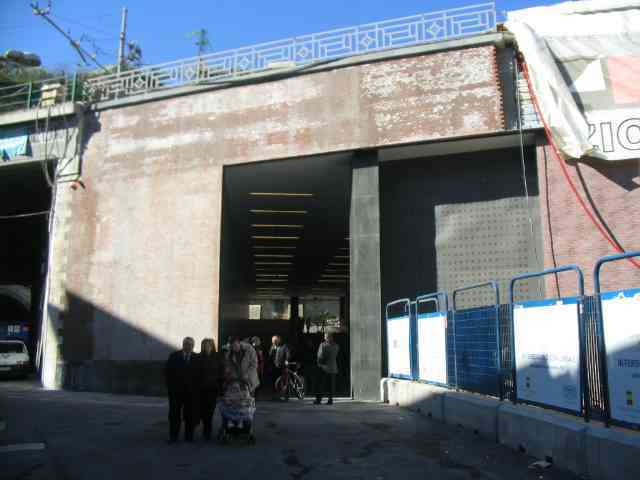 November 12, 2005: Naples vice Mayor Rocco Papa declares the goal to open Mostra - Mergellina section of Linea6 by April 2006 (see news - in Italian - from Il Mattino). 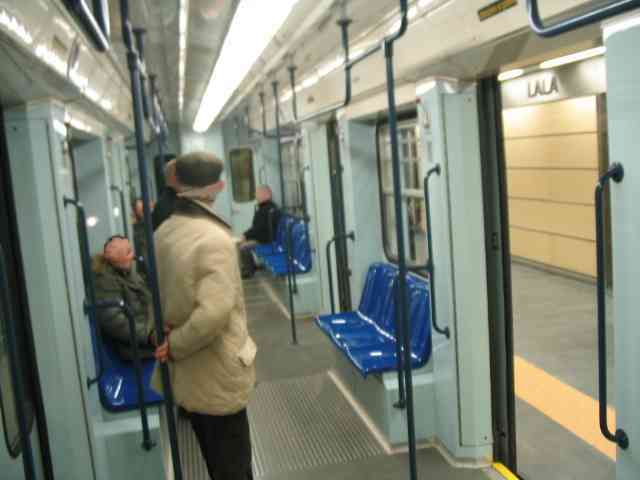 January 31, 2006: in end February tests start for Linea 6, and line opening should take place by May (see news - in Italian - from Il Mattino). 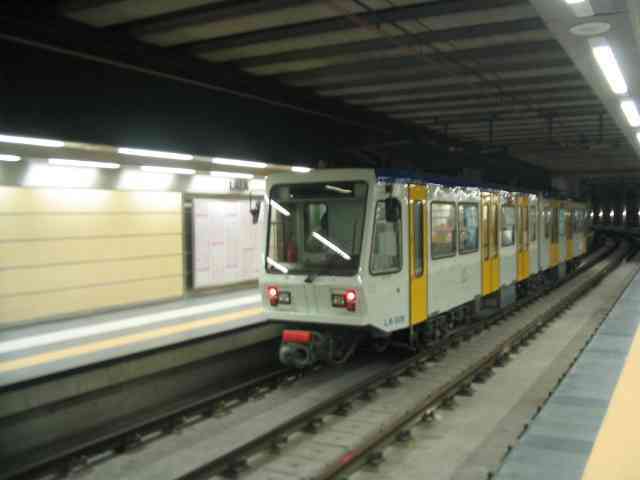 March 1, 2006: Linea 6 trains have been set on their tracks in the building works of station Mostra (see news - in Italian - from Il Mattino). July 31, 2006: Il Mattino widely reports on Linea 6. 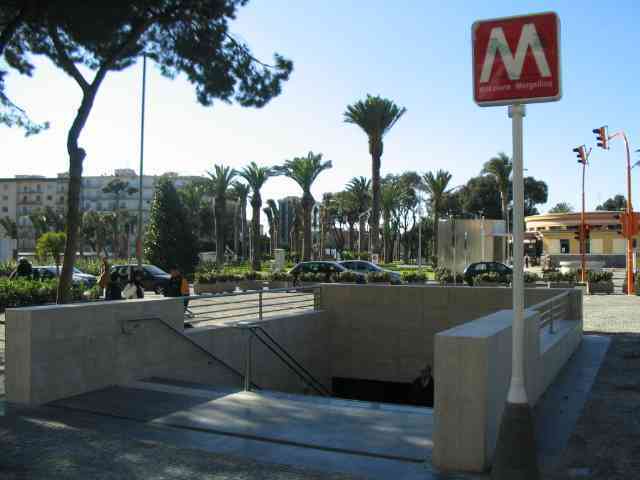 In October the section Mostra - Mergellina will start service (see news - in Italian - from Il Mattino), the four stations contain works of art (see news and news # 2 - in Italian - from Il Mattino), a possible westbound extension has been hypothesized until Bagnoli and Cipe has decided to appropriate a funding of 500 million euros for the section Mergellina - Municipio (see news # 3 - in Italian - from Il Mattino). 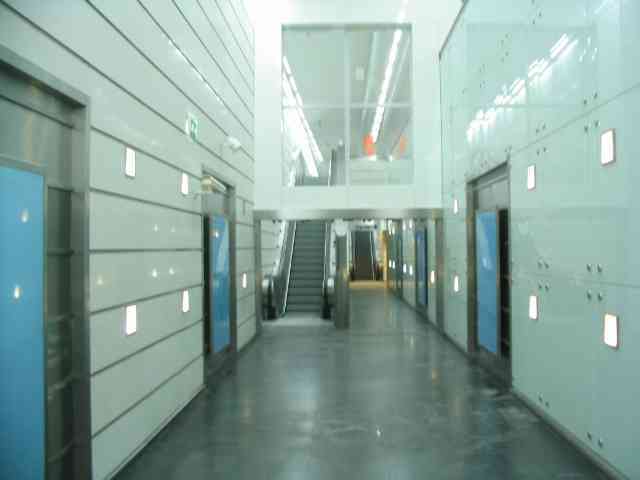 January 7, 2007: the official opening ceremony for Linea 6 will take place on January 11, 2007 at the presence ot Italian Prime Minister, Mr. Romano Prodi. By the end of January the line will enter service. More precisely, a first four-station section from Mostra to Mergellina will start service (see news - in Italian - from Il Mattino). February 2, 2007: the section Mostra - Mergellina of Linea 6 will enter service on February 4 (see news - in Italian - from Il Mattino). February 4, 2007: the section Mostra - Mergellina of Linea 6 has entered service (see news - in Italian - from Il Mattino). For a picture of a Linea6 train click here (from the page on Italy in Dan Weissmann's subways.net site).